Have you been looking to replace your stock pan hard bar for your F-body car? Look no further! Team Z now offers a full Chromoly double adjustable pan hard bar for your performance needs! Our pan hard bars reduce deflection while allowing you to adjust your rear end when the car is lowered. These pan hard bars are constructed, TIG welded, and assembled here in house for quality assurances. The main tube is made out of Chromoly steel to increase strength while reducing overall weight. Only the highest quality heims are used to ensure they can take the power of higher horsepower cars. The panhard bars come standard with a dark charcoal metallic powdercoating to resist corrosion. Proudly made in Detroit! New from Team Z Motorsports is our new nitrous bottle holders. Custom cut on our water jet here in house, they make for a simple mounting solutions for your nitrous bottles. Lightweight design for serious racers. Easily fasten your bottles down with our custom wing nuts. Powdercoating available, call in for color and pricing! Upgrade your horsepower in minutes with our inTune i2 Power Programmer. It is easy to install and plugs right into your vehicle’s OBD-II port. 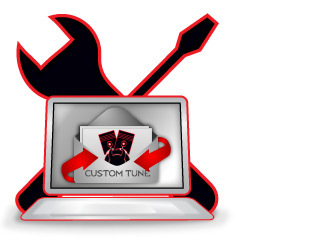 Our tuning team maps out all of the i2’s tunes for your exact car or truck. Our goal is to make the biggest power gain, with the largest choice of performance options. The i2 features the latest electronics too; find out more about what makes the i2 the best handheld tuner available today! THE LEADERS IN TUNING FOR LS AND BEYOND! We have offered tuners for late model GM cars and trucks for over 15 years! The i2 Programmer continues our tradition of making big power and economy gains that are easy to install. The i2 lets you take control of your vehicle like never before, for any LS power plant made from 1999 or newer. Whether you have a high horsepower Camaro, or a stock Sierra truck, the i2 is a perfect way to upgrade your performance and fuel economy in minutes! Our new inTune i2 allows for a first at DiabloSport– you can now tune more than one vehicles by purchasing a tuning license. If you have the i2030 for your 2015 Chevrolet Camaro, but you also want to tune your 2014 GMC Sierra, you can get a license that lets you to tune both at the same time! If you have popular performance mods on your GM vehicle like cold air intakes, exhaust, heads, cams, or even superchargers, the i2 gives you options to take control of your tune. Whether you want to tweak the tune yourself, or bring it to a professional tuner, the i2 has you covered no matter how aggressive your build is! These Long Tube Big Block Chevy Headers for 67-69 Camaro and 68-74 Nova are designed for use with a 572 Tall Deck Engine using cylinder heads that use the factory Big Block Chevy bolt pattern. The 2-1/8” Long Tube design promotes excellent torque throughout the RPM range. These are built for use with the factory subframe. The 3.50” collectors are welded on for a great leak free seal and an easy connection to your exhaust system if you choose to do so. Comes complete with reducer cones and stainless band clamps to adapt the 3.50” collectors down to 3.00” for exhaust connection. Finished in a High-Temp Black painted finish and optional ceramic coating inside and out for a long lasting durable appearance. 16 gauge steel construction and CNC last cut, surfaced flanges make this a durable header that remains leak free for multiple racing seasons. Comes standard with a Full One Year Warranty. Eligible for the Nationwide Dynatech “You Win We Pay” Contingency Program. These Long Tube Big Block Chevy Headers for 67-69 Camaro and 68-74 Nova are designed for use with a 572 Tall Deck Engine using cylinder heads that use the factory Big Block Chevy bolt pattern. The 2-1/8" Long Tube design promotes excellent torque throughout the RPM range. These are built for use with the factory subframe. Slip-on style collectors make changing collectors easy and are sold separately so you can choose from Standard or Merge style. (Part numbers: 783-61236, 783-61241 or 780-12517). Ceramic coated inside and out for a long lasting durable appearance. 16 gauge steel construction and CNC last cut, surfaced flanges make this a durable header that remains leak free for multiple racing seasons. Comes standard with a Full One Year Warranty. Eligible for the Nationwide Dynatech “You Win We Pay” Contingency Program. These high-flow, merge-style Dynatech SuperMAXX intermediate pipes provide maximum exhaust flow, while their slip-together union allows for an easy installation without welding. They feature a collector/converter connection that uses a self-aligning, sintered-metal donut gasket for a long-lasting, leak-free connection. Dynatech SuperMAXX intermediate pipes are available with or without high-flow, stainless steel catalytic converters for increased horsepower and torque. They have provisions for O2 sensors and are fully OBD-II compatible. 2010-15 Camaro 6.2L 304 SS headers with CNC mandrel bent 1-7/8" primaries and 3" slip fit collectors with 3" off road lead pipes to fit Stainless Works Exhaust System. This full 3'' system and does not neck down, and fits only to SW Performance Connect exhaust. 2010-15 Camaro Headers. A must for the performance minded individual: Constructed with high quality 304L stainless steel, our durable headers are CNC mandrel bent with 3/8'' thick flanges. These headers easily bolt-on to the factory connection point and have off-road pipes (converter delete). These headers are backed by 24-Month guarantee on material and workmanship. Dynatech SuperMAXX stainless steel headers are built for performance! Designed, hand crafted and built in Indiana, these long tube design headers are carefully CAD engineered to deliver the most power possible and give your car a deep and throaty sound. 2010-15 Camaro 6.2L 304 SS headers with CNC mandrel bent 1-7/8" primaries and 3" slip fit collectors with high flow metal matrix catalytic converters and 3" lead pipes to fit to Stainless Works Exhaust System. This full 3'' system and does not neck down, and fits only to SW Performance Connect exhaust. 2010-15 Camaro Headers. A must for the performance minded individual: Constructed with high quality 304L stainless steel, our durable headers are CNC mandrel bent with 3/8'' thick flanges. These headers easily bolt-on to the factory connection point and have catted lead pipes. These headers are backed by 24-Month guarantee on material and workmanship. This Only Fits 2010-2013 Chevy Camaro 6.2 V8 models. Currently it will not fit the V6 or ZL1 models.